«MEDICA–2017» and ALT - ООО "Актив Лайф Технолоджи"
To keep up with the state-of-the-art developments – preferably forge ahead them –as well as with the latest and topical news in the field and know about the innovation technologies available on the market is the recipe for every company to succeed. Following this important rule we strive to constantly update and improve our knowledge capturing any chance to participate in a conference, trade fair, workshop. 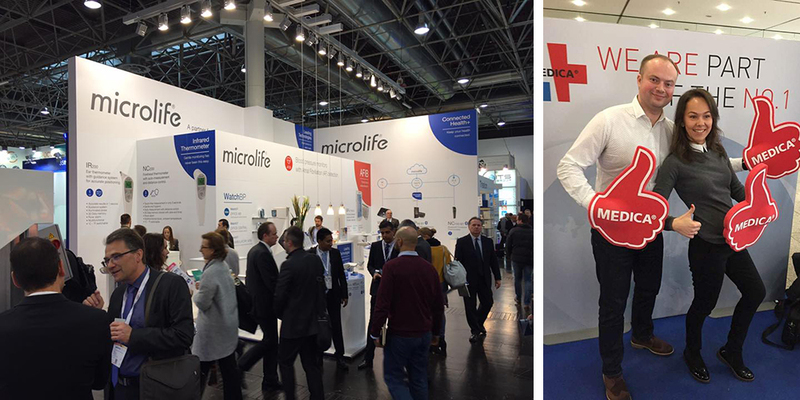 We are proud of our Company’s participation in the International Trade Fair for Medical Equipment MEDICA every year as it is the most noticeable event in the field of medicine. From 13 to 16 November, professionals from 130 countries came to Dusseldorf to share experience and establish new contacts. The science and technologies develop from year to year and this time we discussed with our colleagues the trends of medicine for the near future. In our turn, we will do our best to enable people in our country to enjoy the up-to-date medical inventions as soon as possible.